My Paris is better than yours! 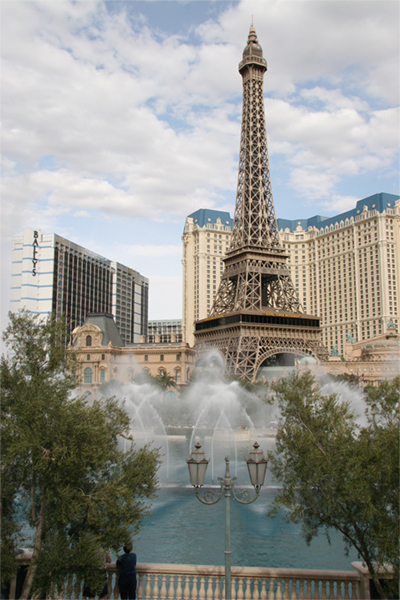 You haven't got dancing fountains in the Seine, have you? Huh, huh? Just another ordinary Spring day. 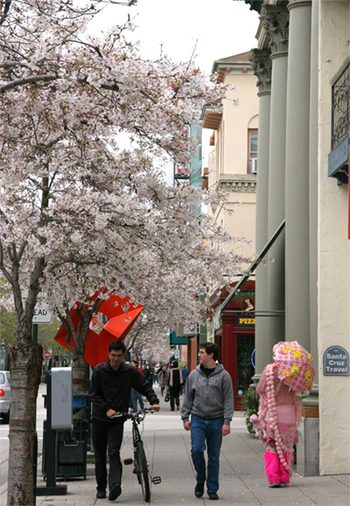 The downtown is a study in pink at the moment, what with our usual Umbrella Man all decked out in pink and the cherry blossoms in full bloom. I have developed a secret urge to paint my red bike pink. I'm off to Vegas for a couple of days. Meanwhile, should you miss me you could get the podcast of me on Living on Earth. See you in a little bit with a report from Robuchon at the Mansion.